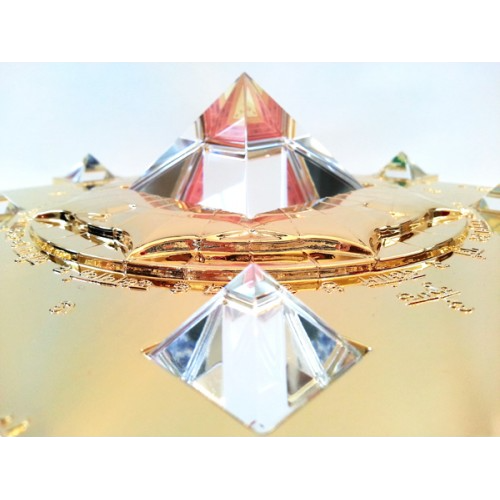 The Vasati Pyramid gold version is many times more powerful. It is a design of sacred geometry, containing all 12 of the Vastu yantras which are magnified and projected into your space. Once installed, this pyramid helps to realign your living space with the cosmic universal pulse. It strengthens natural positive influences that give rise to a harmonious environment, good fortune and fulfilment of desire. The pyramid is a three-dimensional, relief-like representation of all the the Vastu yantras. In the centre is a transparent pyramid with a 7×7 cm basis, and combined with it are the Vastu Purusha and the Maha Purusha yantras. In the eight directions around the centre pyramid lie eight smaller pyramids with Vastu yantras beneath. The pyramid is best installed in the centre of a house or room or on another energetic key point. 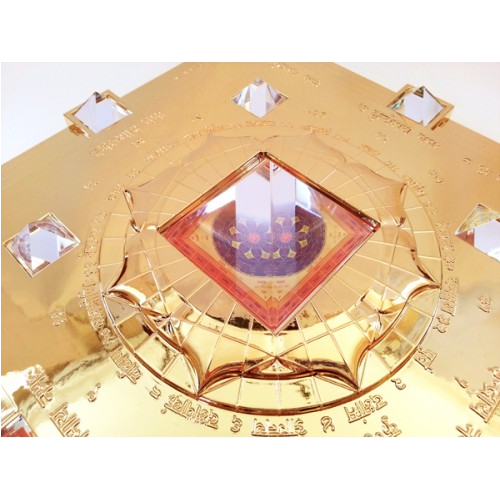 This powerful pyramid can correct Vastu defects to a high degree without any analysis. In this gold version the yantras conductivity is increased manyfold and it is more powerful than the Vasati pyramid Bronze. 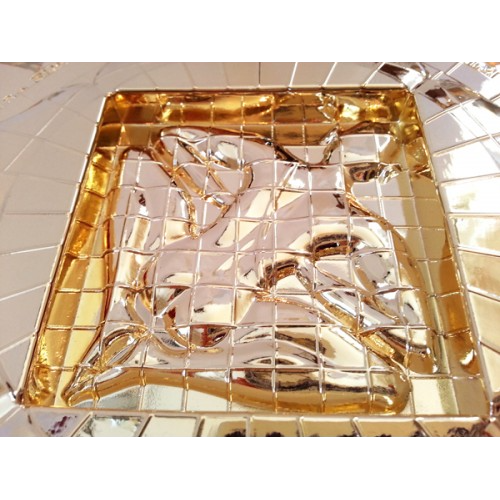 Yantras – A Yantra is an ancient powerful tool that is comprised of graphic energy which has a lasting influence on a room’s energetic quality. 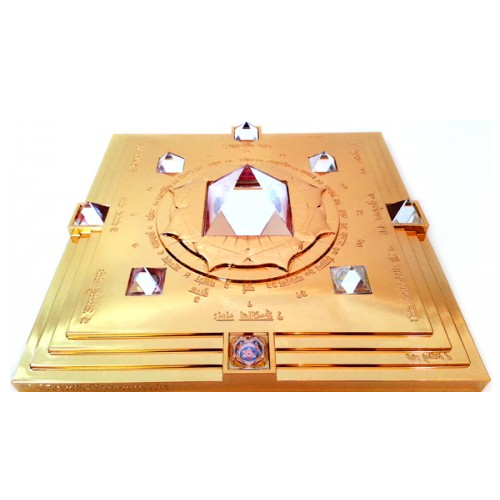 The three-dimensional combination of the twelve Vastu Yantras in the Vastu Pyramid are magnified and projected into your personal space, balancing subtle energies on the karmic and energetic levels that are out of alignment within your immediate environment. This auspicious energy creates an environment in which you can open doorways to new opportunities of creativity, personal power, wisdom and abundance. This gold plated version is more powerful due to the increase in conductivity of the yantras. Puja in Your Home: If you prefer your pyramid to be installed for you with an in depth ceremony then please contact us. You can have a beautiful, traditional installation ceremony; with bells, incense, lamps, water, conch shell, flowers, yak tail and peacock feather. It completes with a blowing of a conch shell, which dissipates negative energies. You can enjoy the cleansing and uplifting experience with your immediate family members and friends.